Dr. Philip Shiman is a professional historian whose primary interest has been military engineering of all periods, but especially focusing on the evolution of field fortifications during the American Civil War. During the 1980s Dr. Shiman invested six summers as a seasonal interpreter at Petersburg National Battlefield, where he designed and oversaw the construction of a full-scale replica of the Union siege line that the park still maintains as a permanent exhibit at Tour Stop Six. (The park's display is informally referred to as "Fort Shiman.") In 1992 he cofounded the Civil War Fortification Study Group, a nonprofit organization dedicated to promoting the interpretation and preservation of Civil War earthworks. During his career he has lectured in public and professional military forums and participated in numerous engineering-related living history demonstrations. He has been described as the "Master of the Gabion." Although in his other life he studied the history of modern military technology for the US Department of Defense, he has recently shifted his career emphasis to cultural resource management and battlefield archaeology. Dr. Shiman holds degrees in history -- a B.A. from Yale College and a Ph.D. from Duke University. He lives in Springfield, Virginia. 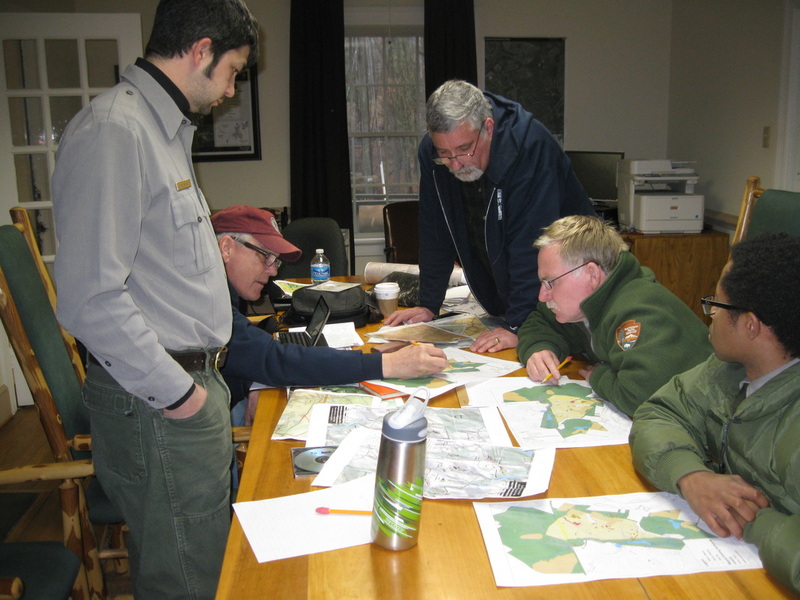 ​David Lowe has been a National Park Service historian for the last 25 years and spent much of his career applying the technologies of geospatial analysis (GIS) and geographic positioning systems (GPS) to the study of historic battlefields. His work for the Civil War Sites Advisory Commission in the early 1990s led to methodologies used to survey battlefields today. The concepts he developed of "defining features," "study area," and "core area" have been used to determine the extent and condition of hundreds of battlefields from the War of 1812, the Revolution, and the American Civil War. 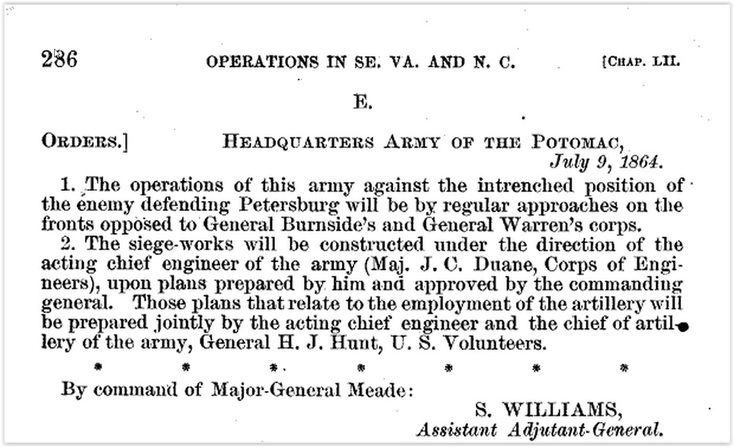 In his work for the park service, he has supervised mapping of more than 130 miles of surviving fortifications. As co-founder of the Civil War Fortification Study Group, he has tramped over and documented many more miles of earthworks. Lowe has a BA in Anthropology from the Ohio State University and holds a masters degree in American history from George Mason University. He is editor of Meade's Army: the Private Notebooks of Lt. Col. Theodore Lyman (Kent State University Press, 2007). He resides in Washington, D.C.
Julia Steele grew up near Washington Crossing, PA, and developed an early interest in the Revolutionary War which expanded to the Civil War after family trips to Gettysburg. At the start of her professional career she recorded and assessed WWII and Cold War sites in Alaska. She joined the National Park Service Northeast Region Archeology Program in 1994 and has worked on Civil War era projects at Petersburg, Gettysburg, Fredericksburg, Spotsylvania and Cold Harbor. She was part of a five year research project at Valley Forge, which lead to reinterpretation of significant aspects of the encampment. Since 2006, she has been Cultural Resource Manager at Petersburg National Battlefield, served as archaeologist for other Virginia parks and is now Chief of Resource Management at Petersburg. Steele has a B.A. in Anthropology from the University of Pennsylvania and a masters in Anthropology from Binghamton University. She has contributed publications, grey literature and presentations on military archaeology and other archaeology topics. She lives in Colonial Heights, Virginia. Petersburg. IT'S A SIEGE !! And we're proud of it. It's a siege! Official circular initiating siege operations. OR XL Part I.
Petersburg. Orders initiating siege operations. O.R. 40, 1: 286. Comparing maps and notes about the fighting around Pegram's Farm, October 1864. L to R: Adam Baghetti, David Lowe, Phil Shiman, Dave Shockley, Emmanuel Dabney.